I bask in the stillness. Can I learn this rest? Can I adopt the pace of nature? I'm asking for help... I'm willing to learn... I'm trying new things. Quiet on the inside and sleeping all the way through the night. It's interesting to want to accomplish these things - passionately - and yet NOT get stressed about achieving them...cause that would be so very counter productive! I will continue to walk, to learn and to listen. And to remember that I'm so much closer to these goals than I've ever been. On the right path. Drinking in the quiet during this season of rest. Those are gorgeous images! Asking for help is a difficult skill - one I'm slowly, painfully learning. Beautiful post and exquisite photography! Beautiful! Resting until that spring spurt! Your images are so beautiful, AND you are SO hard on yourself girlfriend, you are such a warm, beautiful, loving soul. Be gentle to yourself!! I'm so glad that you are seeking rest and quiet. Sometimes we just need those two things to heal from all those voices inside us that plague. These times can either be an oasis or a desert, each serving a particular purpose in our lives. I'm learning not to run from the times when its a desert, but rather seeing that even the desert is producing a new thing in me. I'm glad that nature is showing you peace and comfort that you need right now. What a beautiful poem! I love it. I have some photos similar to those. 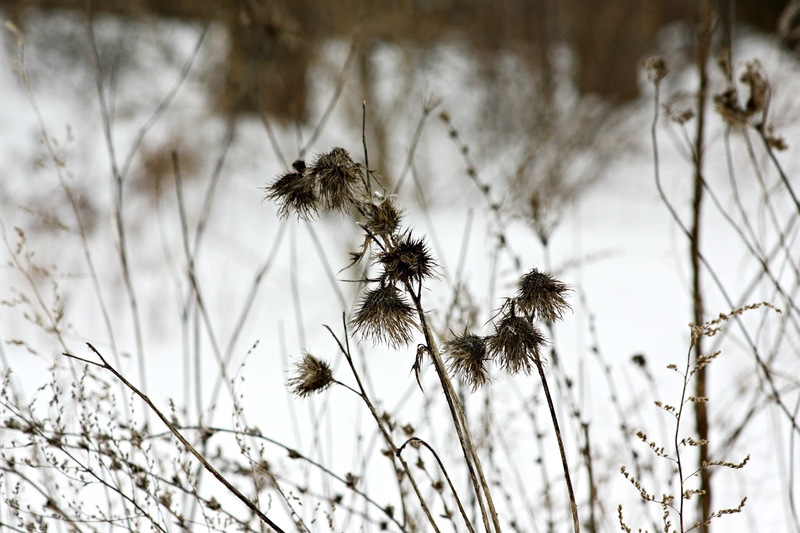 I love the look of dried wild grasses and plants against the snow. Daily we read the internet where seemingly everyone is doing this incredible thing or that incredible thing, - Betty Crockers and Martha Stewarts unite! Suddenly we starting thinking that slowing down or not keeping up makes us less. Lets face it, even Superman had down time working for the man in a regular, average job. We need to cut ourselves some slack and invest in some 'refuel' down time. As you put it, it is only natural. So much for us to learn from nature! Lovely poem and GORGEOUS photos!